1) Standard Forward Hatch configuration w/ short keel bolts. 2) Thru Keel bolt Aft Hatch configuration w/ long keel bolts. 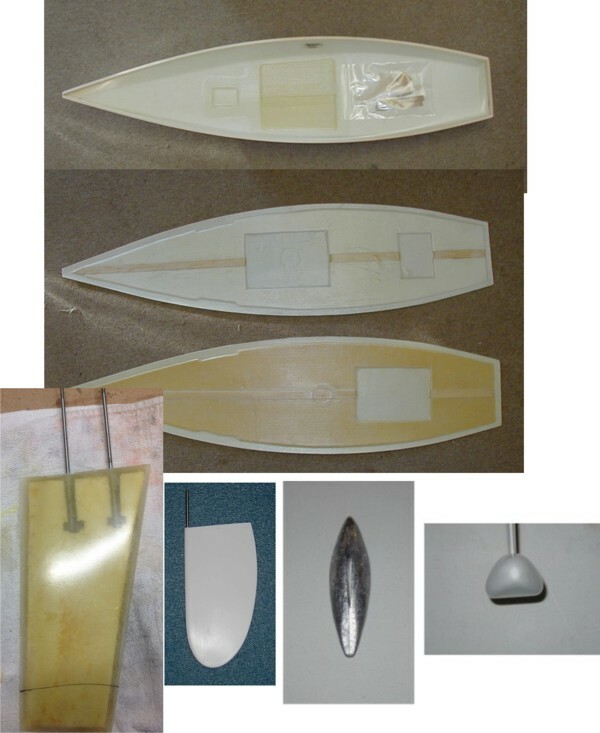 Lead keel bulb - This bulb is the fastest in the country. Triangular in cross section. Has a foil shaped insert in the middle for the keel fin. Rudder - Feather shape with a stainless steel shaft. The cost of a shipping tube and freight will be add to your order.